I have been learning about what being an “effective” mathematics teacher entails lately as part of my graduate work. Interestingly, there is no “theory of teaching,” there are only “theories of learning.” Not a big surprise given that teaching IS learning! Research also points to the fact that being an effective mathematics teacher is MUCH more than being good at mathematics. There are different explanations that we as mathematics teachers must develop and rework constantly. We also need to adapt continuously to ever changing conditions. In this sense, I’ve been drawn to theories of enactivism, which are based on the notion that we co-evolve with our environment in a continuous, complex, and adaptive way. We restructure ourselves to be able to remain viable. In a classroom, this means that we adapt to what students need in the moment. In many ways, we are always doing this. However, we also seem to be tied to our “lesson plans” and external curricular structures. These constraints can sometimes make us forget what teaching is really about. Since learning more about this ecological perspective, and being inspired in particular by Brent Davis’ work, I’ve made a slight shift in mindset when teaching. This past term, I had quite possibly the best conditions for teaching in this manner. 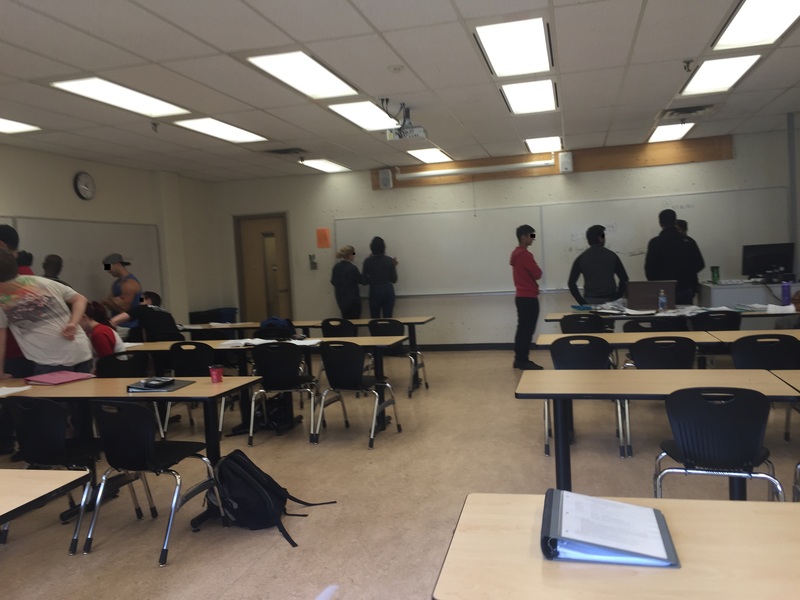 My room had two whiteboards on each of three walls, meaning I could finally try out a full version of Peter Liljedahl’s Vertical Non-Permanent Surfaces. I wasn’t able to blog about it regularly because of an extremely heavy term (teaching 4 courses, when 3 is a full time load, taking one graduate course, volunteering as part of a visioning committee for my institution that met weekly and had many assigned readings, and trying to work on my dissertation work). However, I resorted to a different form of tracking what I did in my classes. The purpose was more for my students, but it ended up being very helpful for a colleague, who used it to teach the course this term. During each class, I would take pictures of every group’s work, and then plunk them into a document that I would share with the class. This way, students could take a look back through what all the other groups were doing during the class. The double edge of this is that now I have these “photo lesson plans” that my colleague is using to guide her problem based version of the course! This practice has become generative because she plays off my ideas, and now she’s doing the same thing, so I’ll be able to play off her ideas! 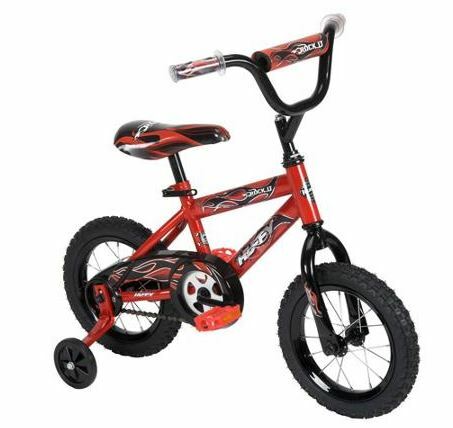 For example, she came up with the idea to bring in a kids bike to class to pose the problem: How far will this bike travel with a quarter turn of the pedal gear? BRILLIANT! I hear it kept students engaged all period! Notice how no one is using books – they are talking, and thinking. There were so many times last term that I found myself at the back of the class, watching everyone, in awe. However, what this meant, was that I had to be EXTRA observant. AT any moment, I needed to be ready to take them somewhere further, to a different realization. The vertical whiteboards helped me adapt to what they needed. I only hope to further enhance my adaptive abilities next term. Maybe I’ll learn something really neat at TMC15! . . . heck, I’m sure I will learn a lot of cool things that I will be able to adaptively incorporate into my lessons next term! This entry was posted in Activities, Classroom Engagement, Flipped Classroom. Bookmark the permalink. ← First Day of a New Term – Neat Introductions Idea!